Check out Silent Sundays from other bloggers here. You are very kind, thank you so much. I HEART my iPhone for taking shots that look nice but are dead easy! No fiddling away with my lenses! 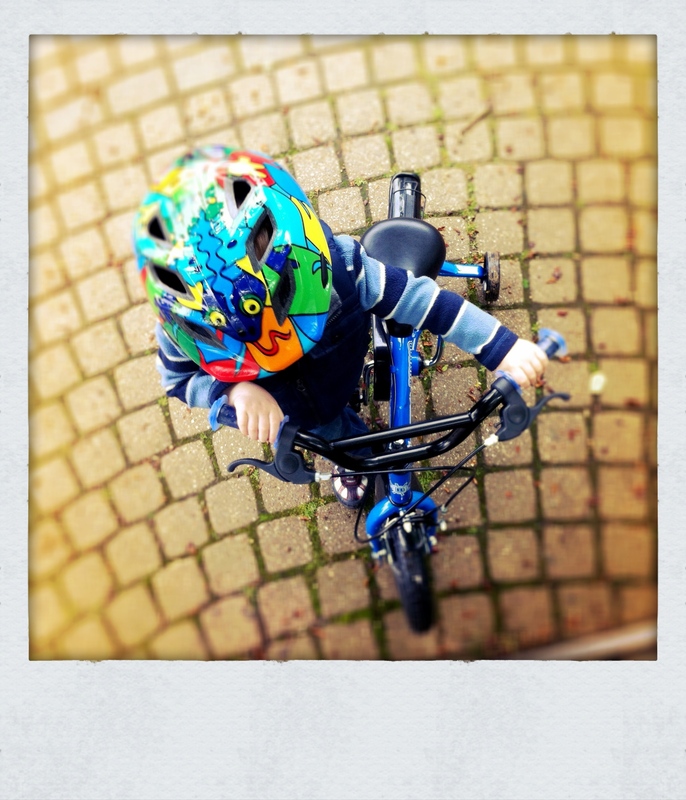 What a funky safety helmet, and a great shot! Cool photo – cool helmet! That helmet really is something! The ‘child on bike’ title makes me laugh. Like you tracked down a random child and made him pose. *cough* is it that obvious?! A great angle to take that shot. Do join me over on Country Kids on my blog too, that looks like a great bit of fresh air action!